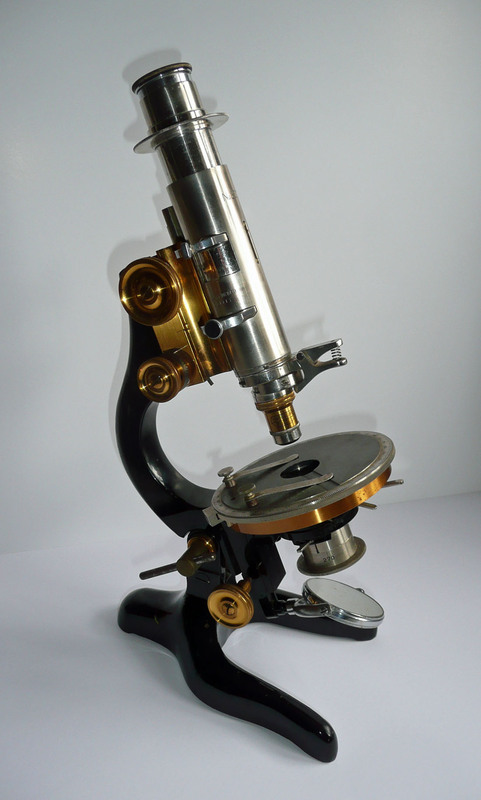 Polarizing microscope (nickel plated brass) with black enameled iron limb and horseshoe base, in fitted oak case with name ( J.V.D. BORDEN) and with accessories and key. Circular rotating stage with 360-degree scale. 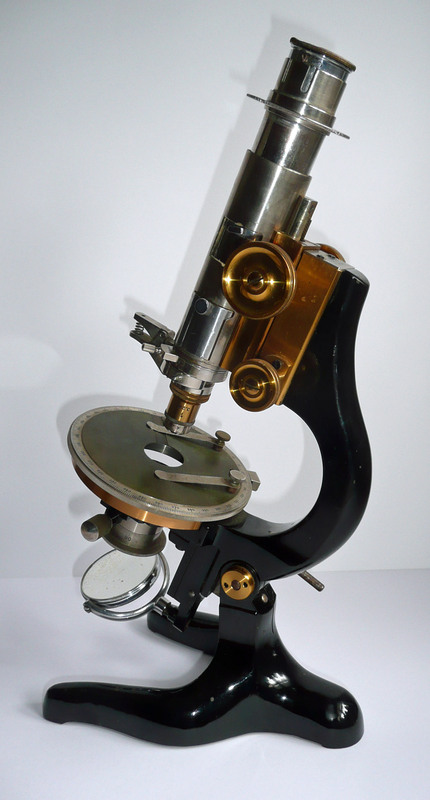 Polarizer (Nicol prism) with adjustable diaphragm and condenser lens. 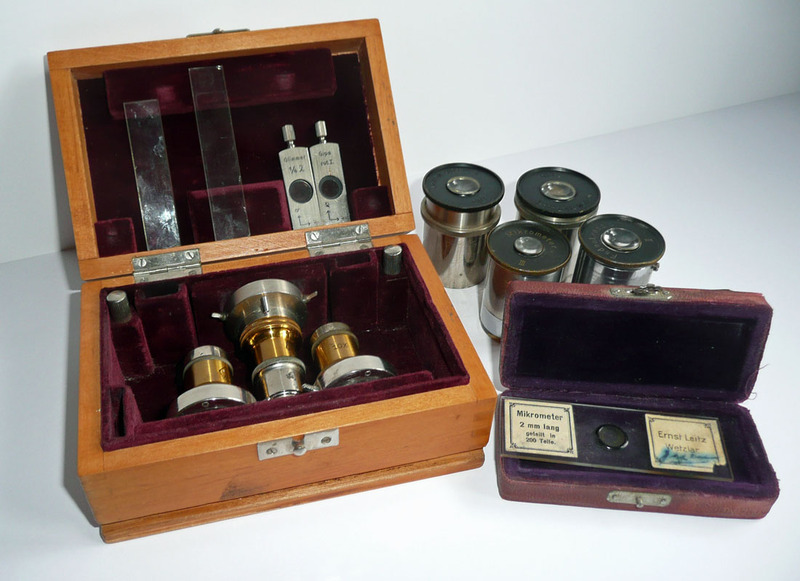 The analyzer (Nicol prism) is fitted on a sliding shoe into the lower part of the body tube and the focusable Bertrand lens with adjustable diaphragm into the upper part. 3 objectives in interchangeable centering collars and 1 Reichert objective . 4 oculars numbered 1-4 and 2 compensator plates; , Glimmer 1/4 λ, Quarts I-3 and 2 compensator wedges Glimmer 1/4 λ, Gips Rot I . Height 31 cm. Signed on the body tube serial number "231926", made around 1925.